The Energy Planning and Innovation (EPI) group operates within UBC’s Energy and Water Services (EWS). The group’s mandate is to develop long-range energy infrastructure plans and implement energy and water conservation and efficiency measures that reduce UBC’s operating costs, defer costly infrastructure upgrades, reduce greenhouse gas (GHG) emissions and lessen UBC’s exposure to fluctuating energy markets. The long-term value of our energy management efforts can be measured by the reduction of UBC’s energy use intensity, which is the energy consumed per square metre (m2) of building floor space. Since the start of UBC’s ECOTrek energy and water retrofit program in 2001, 200,000 m2 of energy-intensive laboratories have been built on campus. However, through our energy conservation efforts, energy use intensity actually decreased, as shown in the chart. 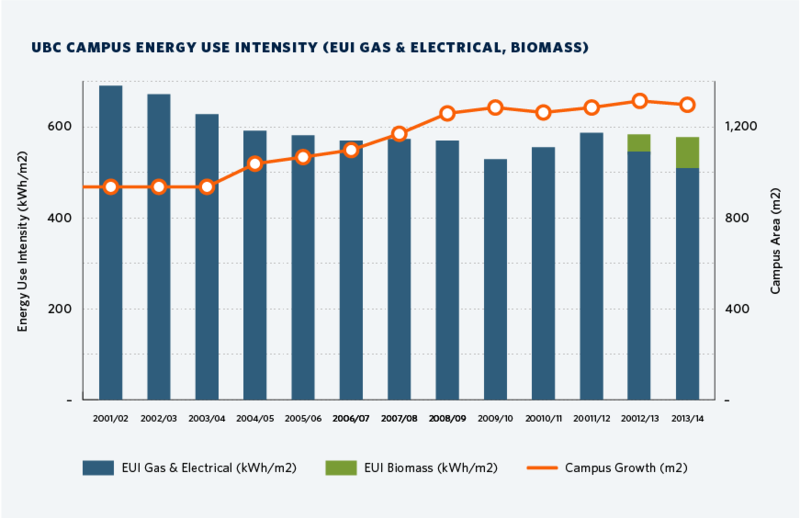 UBC has avoided energy costs of over $40 million since 2001. 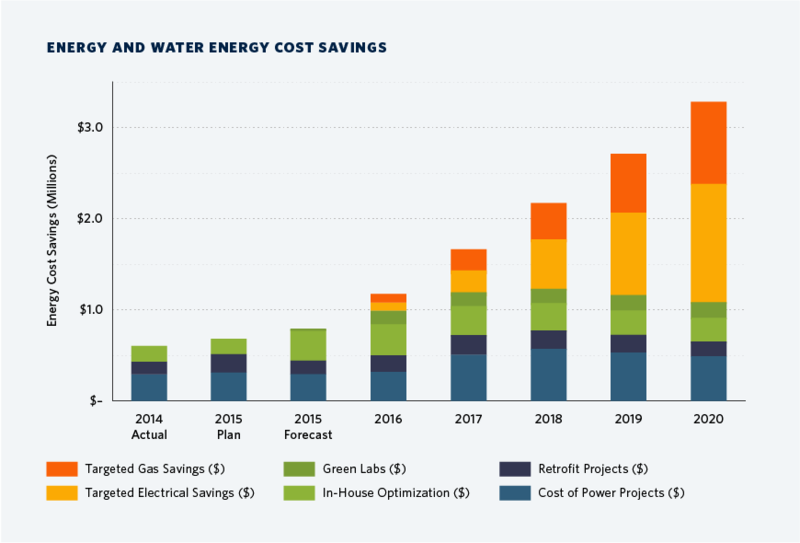 Current and future projects such as the Steam to Hot Water Project, Building Tune-ups, Green Labs and other successful energy conservation and efficiency efforts will continue to drive down UBC’s energy and water costs. The Energy Planning and Innovation team use a number of tools to visualize and monitor energy use and consumption trends across campus.